Works this shield with the Wifi Bee? 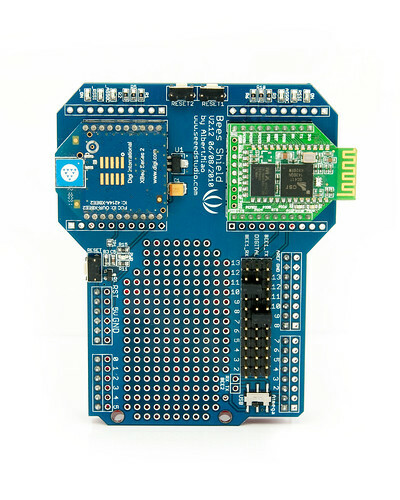 The picture of this board shows a 5V input however XBees and the GPS Bee are 3.3V. Does this board have a power regulator? Hello there, Seeeduino V3.0 ships with a 3v3/5V switch by itself. According to its wiki of this board, it indicates "Provide maximal 500mA under 3.3V" . What are the board dimensions and will it fit into this enclosure? Thanks. I've updated the wiki page for future reference. If using this shield with 'GPS Bee' (3.3V RX/TX) and 'Arduino Mega 2560' (5V RX/TX) all be working correctly? yes?? ?it is.There is a resistance in UART port to protect the GPS. I have purchased 2 x XBee Bluetooth Standalone from you. Will this board work ? Or is there another option to look at ? Hi there??? it can work with this board.